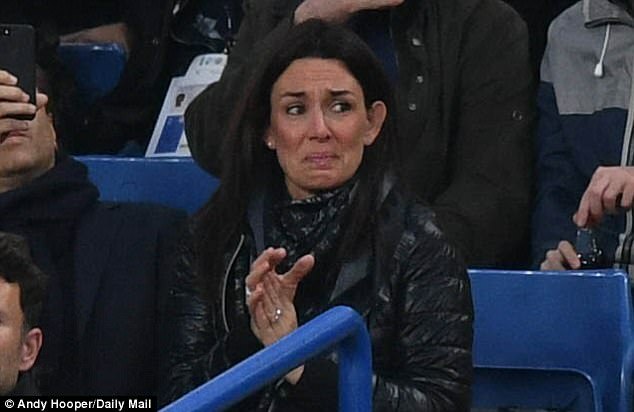 Chelsea manager Antonio Conte has had a stellar first year in charge at Stamford Bridge but insists his family are the No 1 priority ahead of next season. 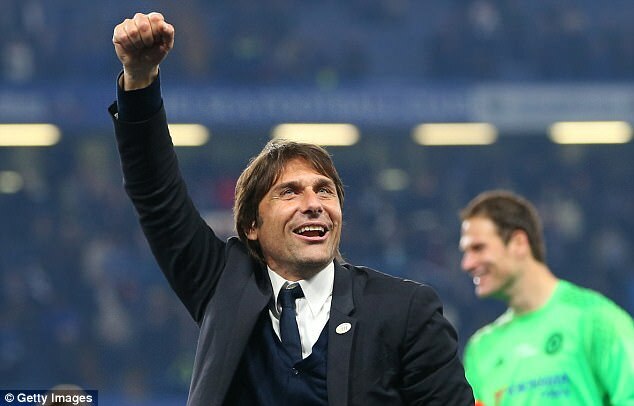 Conte led the Blues to a stunning Premier League triumph at the first time of asking and with Inter Milan hoping to lure the Italian back to Serie A with a big-money offer, Chelsea are keen to reward him with a new deal. 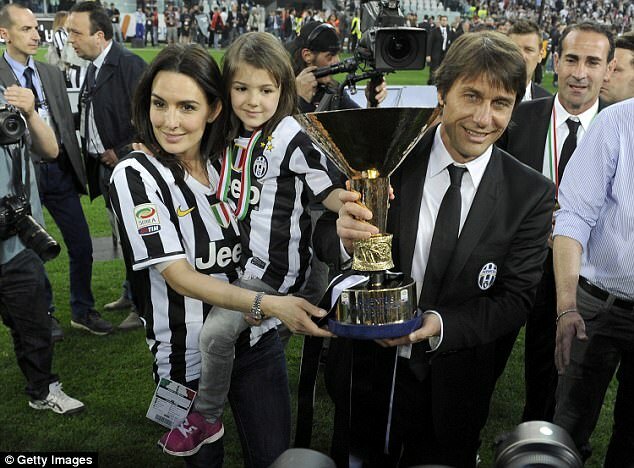 Conte left his wife, Elisabetta, and daughter, Vittoria, at home in Italy when he took up the top job at Stamford Bridge and wants them to move to London during the summer. 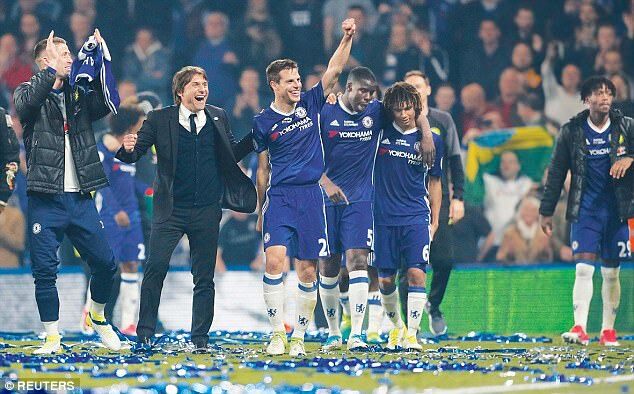 ‘My objective is to lay the foundations so Chelsea can continue to win,’ Conte told La Repubblica newspaper. ‘This is already a big club, but it’s inconsistent. They won the Champions League, then went out in the first round. They won the Premier League and then finished 10th. Chelsea need to find stability at the top. ‘It’s not all happiness and light. The arrival was, but the journey wasn’t. With my wife Elisabetta in January we decided that Vittoria would finish school in Turin, even if she was already registered to start in London. The former Italy and Juventus boss rejuvenated a Chelsea side in disarray following their 10th-place finish last season. 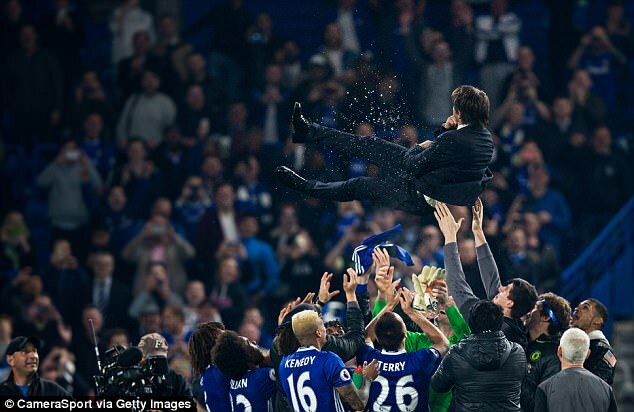 Conte brought infectious enthusiasm, new training and nutrition methods as well as a new 3-4-3 formation that brought out the best in the Londoners. ‘The lads accepted new methods: very intense training sessions, the diet, the video analysis and importance of details,’ he added. ‘I feel fortified. I remain intransigent in my work, but I am more flexible. I learned to turn a blind eye to certain things, like players eating scrambled eggs before a game… You have to accept the traditions of a country. ‘You also need to speak the language, out of respect. I had studied it at school, but had a two-week intensive course. Learning English felt like climbing a mountain: with strong motivation, nothing is insurmountable. Champions Chelsea welcome relegated Sunderland to Stamford Bridge for their final Premier League game of the season on Sunday.